When it comes to interior design Auckland wide, we here at DB Interiors like to stay on top of the latest trends. In today’s blog, we’re talking about the latest movements in the ongoing debate around open office planning. Over the last few years, open-plan offices have become the benchmark for businesses that want to use their floorspace in the most efficient manner. Traditional open-planning has also been said to increase collaboration between staff, equalise ingrained hierarchies and power structures, and bring with it a sense of progress and modernism. However, the most recent research doesn’t support the idea that a conventional open-plan office is all you need to boost productivity and can even harm your workflow under specific circumstances. Today, we’re going to look at the ideas that are emerging in response to these ideas, and the solutions that concepts – such as break out area design – can offer. A Harvard study carried out last year by researchers Ethan Bernstein and Stephen Turban, published in Philosophical Transactions of the Royal Society BI, had some interesting conclusions to make on the subject. The researchers organised for 150 participating employees to wear devices they referred to as a ‘sociometric badge.’ These devices measured their movements and recorded their conversations for six weeks, with the office being remodelled from cubicles to open-plan midway through the study. The research team then compared this data to the number of instant messages, texts and emails sent by test subjects throughout. To simplify their findings, as the cubicles were removed, the tendency for subjects to use instant messaging or email over face-to-face interactions went up, seemingly in opposition to what most supporters of the layout style purport. The benefits of open-planning are still out there, however. Offices that have moved on from cubicle design often save up to 50% less per staff member on their fit-out, and this translates into a number of other benefits throughout operation, such as a smaller carbon footprint. And while the study reported less interaction, it didn’t take into account the long-term collaboration that can occur on account of a much more modifiable office. Employers without cubicle spaces can much more readily alter their layout, building teams for specific major projects, or even sub-leasing parts of their office out to other businesses. The mistake most offices these days are making during their fit-out process is the assumption that an office must be either entirely closed or entirely open. Finding a way to synthesise the benefits of both, rather than feeling a need to choose between them, is the way forward. A modern, flexible office plan – such as what DB Interiors can offer – is able to accommodate a multitude of different employee priorities at once, rather than trying to force a ‘one-size-fits-all’ scenario. Today’s workforce requires opportunities for both concentration and collaboration. The former can be achieved by implementing new solutions such as break-out rooms – as we mentioned earlier – or even quiet zones to minimise noise pollution. For collaboration, implement an agile office fit out to allow your employees to switch from task-focused areas to communal environments where they can create impromptu teams and work together ad hoc. Rather than trying to find ways to make cubicles less stifling and open-plans less exposing, we are able to take the best of both worlds, and create newer, more flexible office workspaces. To learn more, contact the friendly team at DB Interiors now to book your free discovery call! Lena is part of our business development team, and has a critical role holding initial discussions regarding capital works with all new projects. With her passion for fitness and all things health-focused, she is a wonderful influence to have around the office. 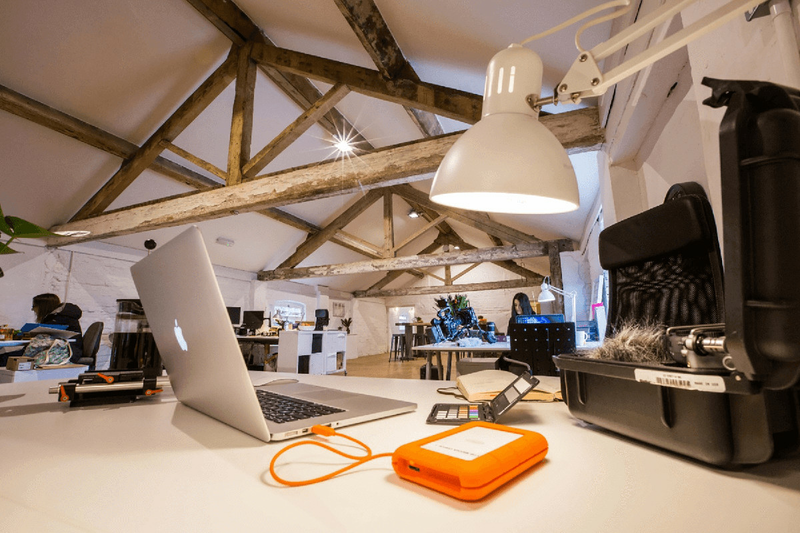 How Does a Flexible Workspace Operate? What Trends Will Influence Office Design in 2019?